SAN ANTONIO, Texas (November 7, 2017) — Walkingspree, a nationally-recognized corporate wellness and activity solutions provider based in San Antonio, Texas, is pleased to announce that its partner, VIA Metropolitan Transit, has successfully concluded the “Thrive Wellness Program,” with positive results. A program report, compiled by Aetna, highlights the many benefits that have been provided to participating employees’ overall work-life balance, based on a series of interactive data. 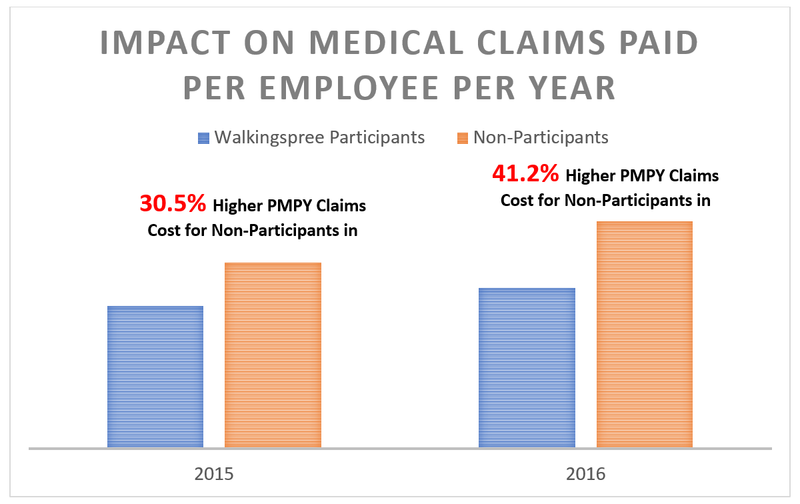 Walkingspree specializes in custom walking programs where employees get engaged and energized while employers reduce health care claims. We provide wellness solutions for companies of all sizes and currently support some of the nation’s most renowned fitness monitoring brands including Fitbit, Garmin, Apple Watch and a host of other wearables and smartphones. Members receive a highly intuitive and customizable mobile app as well as a web based real-time monitoring platform. To find out how we can assist your company, please check out wwwclone.walkingspree.com. Press Contact: Nathan Pickle, Chief Revenue Officer, Walkingspree.